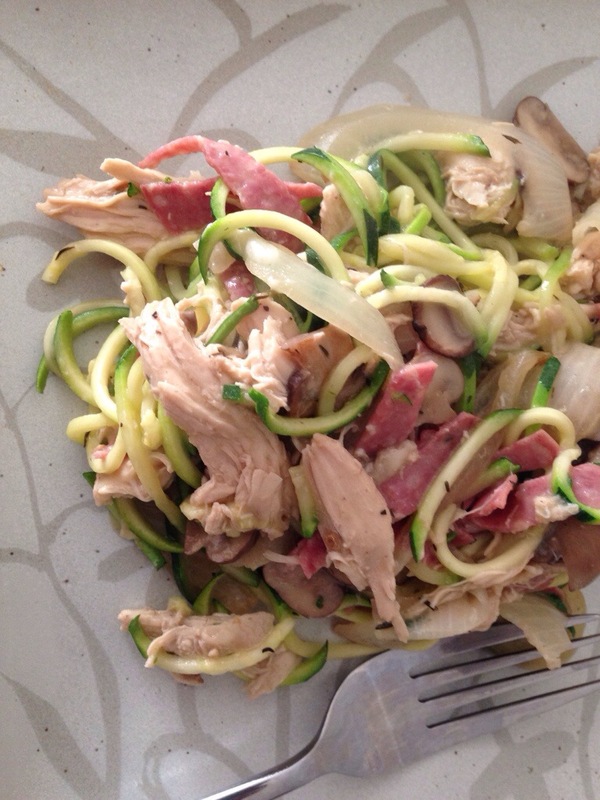 I had to make this recipe a second time to share with you. I didn’t take any pictures or write anything down the first time around because I had no idea it would be this good! This pasta sauce is perfect over zucchini noodles or short pasta. 1. 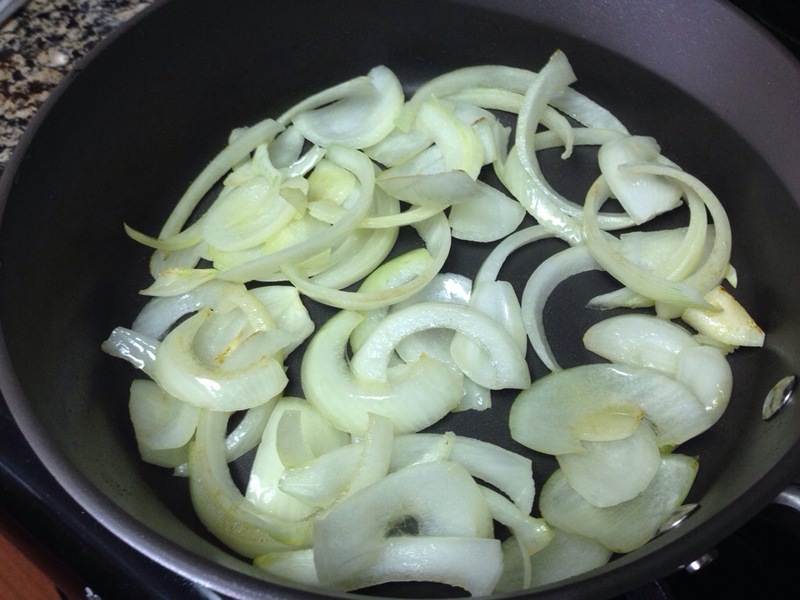 Heat olive oil in a large skillet and add sliced onions. 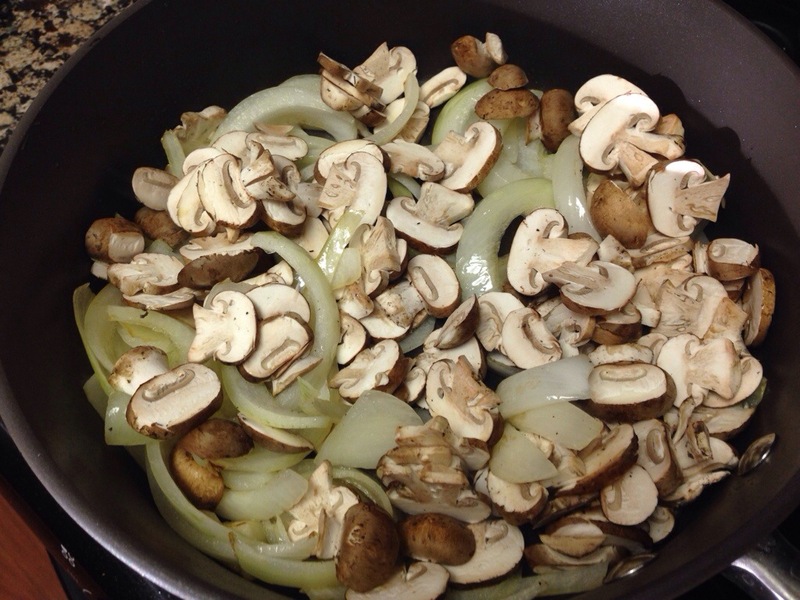 Sauté for a couple of minutes before adding mushrooms and garlic. 2. 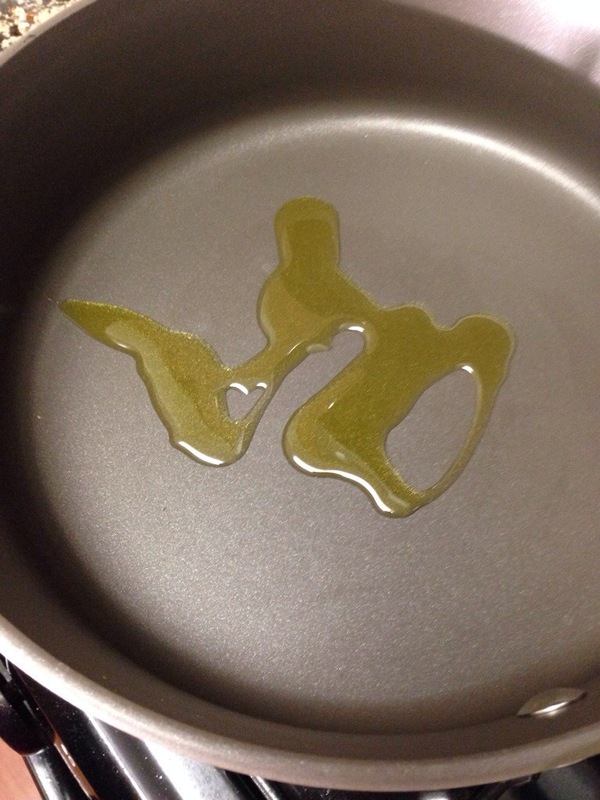 When the vegetables begin to soften, push them to the side of the frying pan. 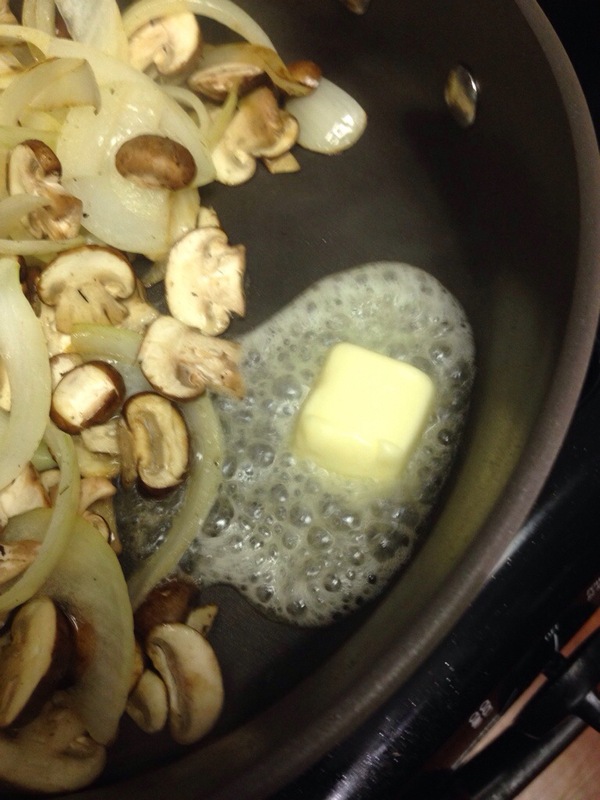 Melt butter in the pan and add the flour. 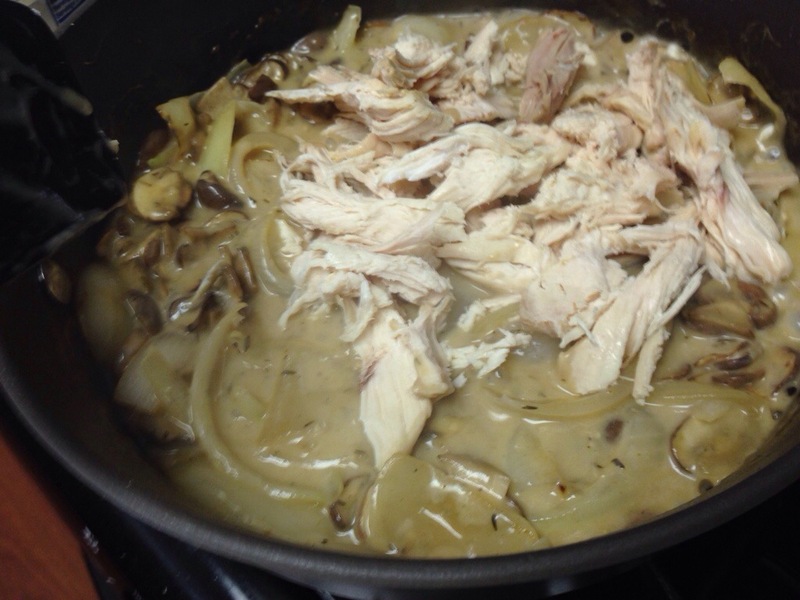 Mix together to form the roux. 3. Add chicken broth and white wine. 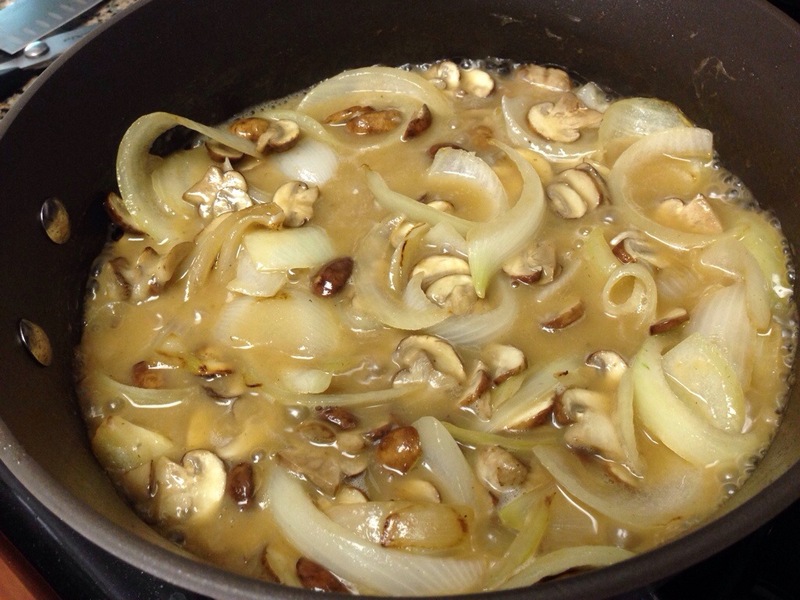 Stir all the vegetables into the sauce and simmer to thicken. 4. Add cream cheese, chicken, salami, seasonings, and parmesan cheese. Stir to combine and melt. 5. 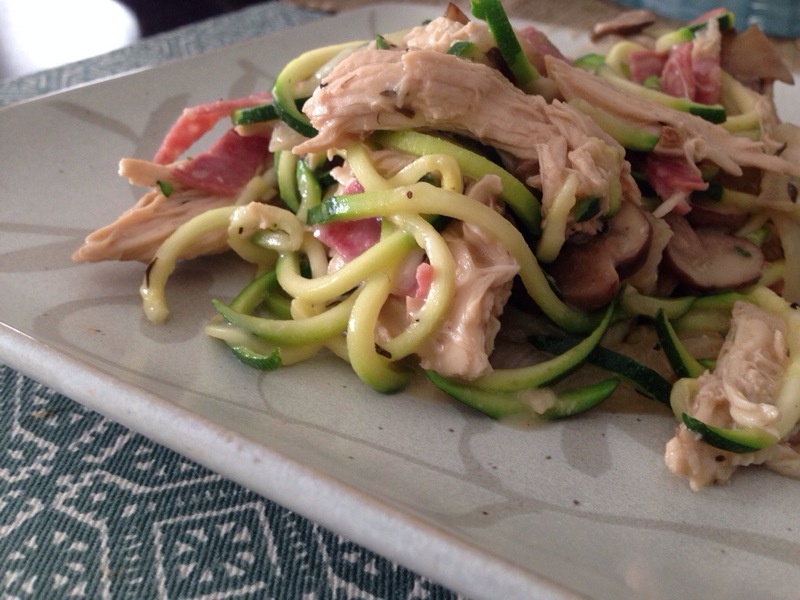 Serve the sauce over spiralized zucchini or freshly cooked pasta. I think you’ll love this dish! The flavors work together elegantly to create a creamy pasta sauce that you’ll be glad you stayed home for! It beats most restaurant pasta sauces I’ve tried. Let me know what you think of it.